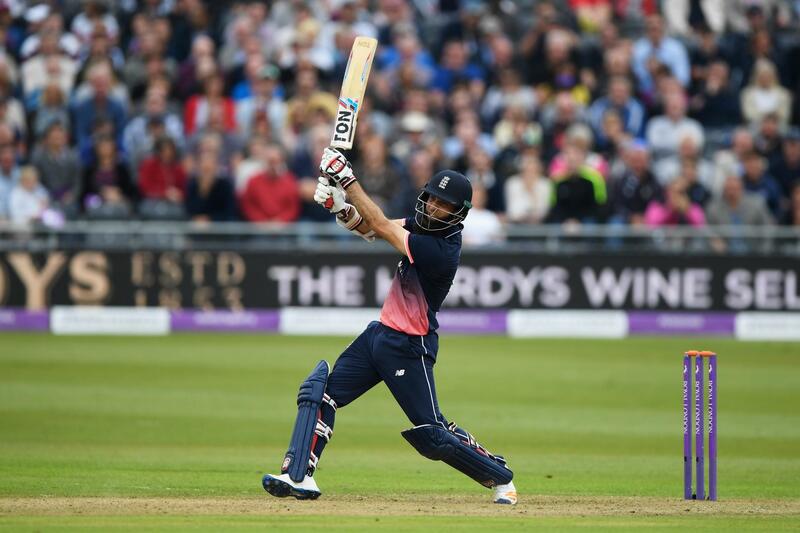 England defeated the West Indies by 124 runs to win the third One Day International at Bristol, but they had a certain Moeen Ali to thank. Report by John Menzies. Moeen Ali smashed a sensational hundred off 53 balls as England defeated the West Indies by 124 runs in the third ODI at Bristol. The all-rounder, whose century was the second fastest of all-time by an Englishman, was eventually out for 102 off 57 balls as the hosts scored 369-9 in their 50 overs before bowling out Windies for 245. The win means that the hosts are 2-0 up in the five-match series with two matches to play. West Indies won the toss and inserted England, who were shaking at 74-3 having lost Bairstow (13), Hales (36) captain Eoin Morgan – caught behind for a first-ball duck – before Joe Root and Ben Stokes, Test captain and vice-captain respectively, came together. The pair put on 132 in 20 overs before the latter was caught on the boundary by Evin Lewis off the bowling of Rovman Powell. Jos Buttler (2) and Root, who went on to score 84 off 79, followed him back to the pavilion soon after to leave the hosts on 217-6 after 34.1 overs, somewhat reeling. That brought Ali and Chris Woakes together at the crease, and the pair started fairly slowly before the Worcestershire player exploded into life. He was on a run-a-ball 39 before smashing his next 61 runs off only 14 balls, which included eight maximums. His partnership with Woakes was broken with four overs to go with the Warwickshire all-rounder was caught for 34, the duo having put on 117 in 12.4 overs. Ali went two overs later having just gone to his century, which he did by smashing another two 6s, with the score on 354-8. Successive boundaries in the last over from Adil Rashid meant that the hosts reached 369-9 in their innings. West Indies, in response, lost opener Lewis inside the first two overs for 13, attempting to hit David Willey for a third successive six. Shai Hope (20) and Marlon Samuels (11) both fell to Liam Plunkett as the Windies slipped to 109-3. At the other end, however, Chris Gayle kicked on and raced beyond 50, hitting boundaries and 6s with ease. However, he fell six runs short of a 23rd ODI century as he was run out by Rashid, attempting a quick single into the onside. It’s the second time he has been lost his wicket this way on the tour, having also been run out in the T20 international match at Durham. The tourists lost their last six wickets for 69 runs, with Rashid and Plunkett picking up three each. The latter picked up the final wicket of Windies skipper Jason Holder (34), to finish with figures of 5-52 off 8.1 overs. England will now be looking to seal the series with victory in the fourth ODI at The Oval, which takes place on Wednesday.